After years of foot-dragging and stonewalling, the IRS scandal is still getting worse. The latest revelations come through a Freedom of Information Act lawsuit – a lawsuit, not a request duly honored by the Obama Administration – by Judicial Watch. 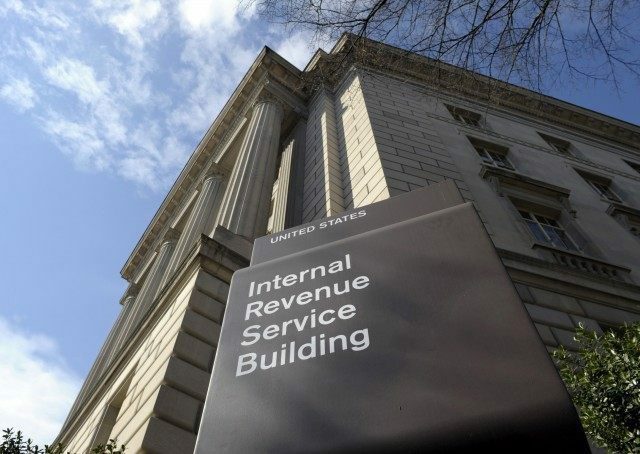 The organization discovered the IRS was using donor lists it extracted from tax-exempt organizations during its anti-Tea Party crusade to target the donors themselves for tax audits. The saga began with top congressional Democrats, gripped by a post-Citizens United fever about the dangers of non-liberal groups influencing American politics, demanding in 2010 that the IRS crack down on tax-exempt organizations. The IRS commissioner, Douglas Shulman – the guy President Obama would later pretend to sack after the scandal broke, when in fact he was merely a temporary employee reaching the end of his term – saluted and got right to work. In 2010, after receiving [Democrat Senate Finance Committee Chairman Max] Baucus’s letter, the IRS considered the issue of auditing donors to 501(c)(4) organizations, alleging that a 35 percent gift tax would be due on donations in excess of $13,000. The documents show that the IRS wanted to cross-check donor lists from 501(c)(4) organizations against gift tax filings and commence audits against taxpayers based on this information. You’ll never guess the political leanings of the targeted donors! Yes, an IRS official was actually rooting for the U.S. Chamber of Commerce to get audit-reamed. And it wasn’t even Lois Lerner! The notorious IRS scandal kingpin and director of the Tax Exempt Organizations division weighed in later, indicating her support for the gift tax audits… even as her organization was telling the media that no broader effort against donors to these organizations was in progress. “These documents that we had to force out of the IRS prove that the agency used donor lists to audit supporters of organizations engaged in First Amendment-protected lawful political speech,” said Judicial Watch President Tom Fitton. And the snarky comments about the U.S. Chamber of Commerce and the obsession with Karl Rove’s Crossroads GPS show that the IRS was targeting critics of the Obama administration. President Obama may want to continue to lie about his IRS scandal. These documents tell the truth – his IRS hated conservatives and was willing to illegally tax and audit citizens to shut down opposition to Barack Obama’s policies and reelection. That “secret research project” was evidently conducted with vigor, as the House Ways and Means Committee established that almost one in ten donors to conservative groups that provided donor lists to the IRS were targeted for audits. As Rep. Dave Camp (R-MI), chairman of Ways and Means at the time, pointed out, the conventional understanding of the IRS scandal is that the Tax Exempt Organizations division placed extraordinary obstacles in the path of new conservative groups applying for tax-exempt status – successfully delaying many of them from receiving the much-needed status until after Barack Obama was safely re-elected, without ever actually denying their requests – but it has become clear that the IRS was also hassling already-established groups and their donors. Needless to say, if any of this had been done to liberal groups – say, black civil-rights organizations or environmental activists – under a Republican president, it would be the biggest story in American political history, and Washington D.C. would lie in ruins, figuratively and perhaps literally. Instead, it’s a “biggy” (as that one IRS official put it) that was successfully reduced to a “smallie” by ignoring and downplaying the story until the shattering revelations became footnotes. Wilkins was the only direct Obama political appointee in the IRS hierarchy. As Ed Morrissey of Hot Air recalls, he has long been a figure of interest to students of the IRS scandal (i.e. not the “reporters” of major “news” organizations) because he spent an eyebrow-raising amount of time in private personal meetings with President Obama, including a marathon 7-hour meeting right before a nervous IRS called off its Tea Party witch hunt, having effectively intimidated conservative groups out of the 2012 election. Now we have proof Wilkins signed off on the scheme at the beginning. It won’t matter all that much in this era of rampant lawlessness and corruption, but it’s interesting to nail down the little details for posterity. “The motivation behind it, and the issues behind it, are what the investigations are investigating,” Koskinen told reporters after appearing before the subcommittee. The IRS chief added that it was “not appropriate for us to try to get in front of those investigations.” The Senate Finance Committee’s inquiry into the IRS, a bipartisan report more than two years in the making, is expected in the next couple weeks. “They’re the ones that will be making judgments,” Koskinen said, adding that he’d be “happy to accept their findings” and wants to read the Finance panel’s recommendations. “You can be the one that says, ‘Hey, it’s all over. We acknowledge that there was targeting that took place’ – which is a huge, a huge acknowledgement. Which the IRS has never done,” Roskam told Koskinen, asking for a level of openness, accountability, and responsibility utterly unknown to the Obama Administration.